OETA airs Oklahoma-based programming on its OETA-HD channel throughout the week of June 12-18, 2016. OETA premieres Oklahoma City mayor Mick Cornett's documentary Oklahoma City: The Boom, The Bust and The Bomb Monday, June 13 at 7 p.m, Jenifer Reynolds' documentary Nature vs. Nature: The Animal Victims of the May 2013 Oklahoma Tornadoes Wednesday, June 15 and the OETA Movie Club has a special presentation of Oklahoma! Saturday, June 18 at 9 p.m.
OETA will also re-air Oklahoma City A to Z Monday at 10 p.m. and Ken Burns' The Dust Bowl: Reaping the Whirlwind, Back in Time: 101 Ranch, The Glenn Pool Story, all starting Tuesday, June 14 at 8 p.m. Tulsa A to Z re-airs Thursday, June 16 at 7 p.m. and the Oklahoma News Report is all-new Friday, June 17 at 7 p.m. Prior to the OETA Movie Club showing of Oklahoma! Saturday night, OETA will re-air its documentary The Oklahoma I Remember at 8 p.m.
A master of storytelling, Mick Cornett has transitioned from journalism to politics and now to filmmaker. He spent 20 years as an award-winning journalist. Cornett was a television anchor and reporter, a sports play-by-play broadcaster, and newspaper columnist before he walked onto the political stage. Now, he is in his fourth term as the energetic mayor of Oklahoma City. 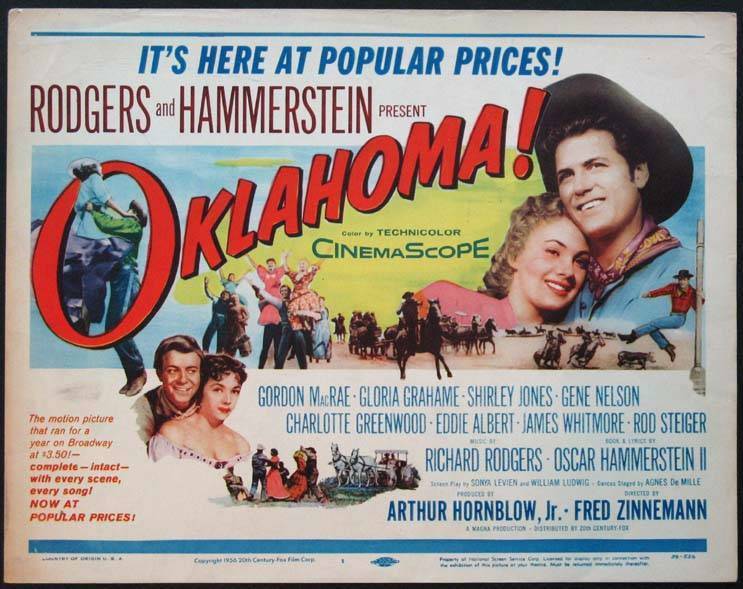 Cornett wrote, directed and produced Oklahoma City: The Boom, the Bust and the Bomb. This critically acclaimed, full-length documentary, is both dramatically compelling and emotionally gripping. Oklahoma City’s story is unique. And so is the man who tells it. He has been honored as the top mayor in Oklahoma and the United States. A London-based organization, which follows mayors internationally, named him as the second best mayor in the world. His Ted Talk has been viewed by more than 1.3 million people. Rescuing livestock, pets, and wild animals critically injured in the string of deadly Oklahoma twisters of 2013 immediately became the focus of dozens of local, state, and federal agencies, veterinarians from across the region who rushed to the scene with no regard to their own danger, and a legion of citizen volunteers and national rescue groups that treated thousands of animals and then re-homed every one whose owners couldn't be found. In the Oklahoma territory at the turn of the twentieth century, two young cowboys vie with an evil ranch hand and a traveling peddler for the hearts of the women they love. The 1955 musical film is based on the 1943 stage musical of the same name.